Like many august enterprises, Sonic Boom Records can trace its origins back to a couple of guys with a vision for greatness and a handful of maxed-out credit cards. 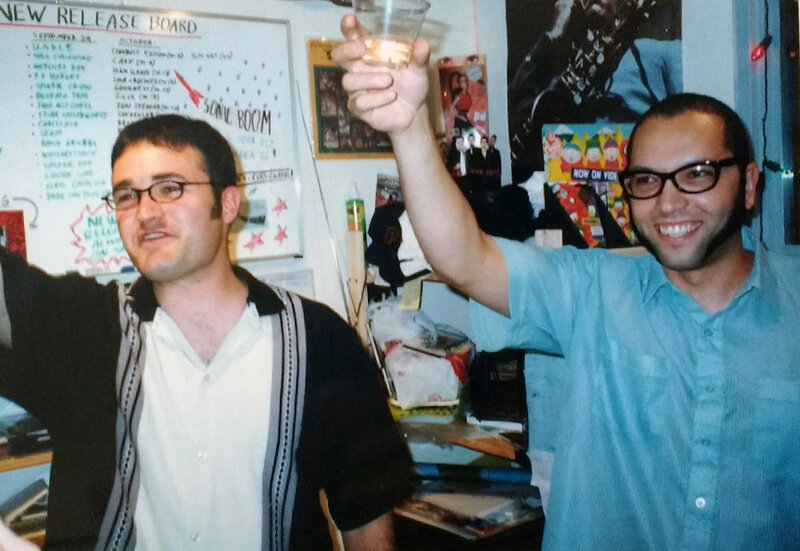 The year was 1997, and Jason Hughes and Nabil Ayers were avid enough about music – especially the emerging Northwest indie rock genre – to take a big leap. The duo pieced together the funds to secure a lease for a tiny retail space in a converted Fremont house and Sonic Boom Records was born. Inventory was lean, and profits even leaner, but Jason and Nabil showed up every day to do it all again. Then, something beautiful started to happen. When Death Cab for Cutie released its 1998 debut album, Something About Airplanes, Sonic Boom invited the band to do an in-store performance. The event ushered in an era of change: It put Sonic Boom Records on the Northwest indie rock map, it led to DCfC bassist Nick Harmer’s stint as an early store employee, and it revealed just how willing people are to smash into cramped quarters in order to be close to live music. In the years that followed, Sonic Boom Records secured its position as a local treasure. After moving to a more prominent Fremont location, the business expanded with shops in Ballard and on Capitol Hill. The list and prominence of bands performing in-stores grew, Sonic Boom merch became the must-have swag for enthusiasts everywhere, and Jason and Nabil finally had the chance to pay off those credit cards. If you’ve been part of the Sonic Boom family for a while, maybe you were there the day Sleater-Kinney drummer Janet Weiss was outside the first Fremont shop with her face pressed against the window watching an in-store that was so packed full of people that it forced the crowd to spill out onto the sidewalk. Or perhaps you’ve heard about the time Jason and Nabil stepped in with a few bucks to cover the cost of a repress for Ben Bridwell, later of Band of Horses, in exchange for a handful of Carissa’s Weird CDs. The stories are endless. And let’s be honest – how could they not be in a place like this? (A few gems are captured in a piece Nabil published in The Stranger in 2016.) Meanwhile, we’re busy making new memories every day we come to work. We’ve been an integral part of the Seattle music scene since 1997 and we intend to continue serving as a hub for this incredible community as long as there is more to be heard. In 2016, Jason and Nabil passed the business into the capable hands of Mike Pitts, a long-time customer and self-professed music nerd who runs things from the Ballard headquarters. Like his predecessors, Mike wants to do more than sell music; he wants to curate it, nurture it, celebrate it. In other words, he’s here for the sheer sound of it all. Look for him next time you’re in the shop. He’s the guy with the huge grin on his face.